American Academy of Cosmetic Dentistry announces the 77th Accredited Fellow. "An incredible honor to be part of this small group"
Todd C. Snyder, DDS has been named an Accredited Fellow in the American Academy of Cosmetic Dentistry (AACD). The purpose of Fellowship is to provide the highest level of achievement for members in accordance with the AACD's mission of education and excellence. Snyder has been a member of the AACD since 1996 and achieved Accredited Member status in 2012. He received his doctorate at the UCLA School of Dentistry, has trained at the F.A.C.E. institute, and is a speakers bureau member of Catapult Education. Additionally, Snyder was on the faculty at U.C.L.A. where he created and co-directed the first two-year graduate program in aesthetic and cosmetic restorative dentistry. 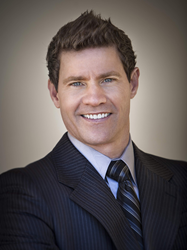 He maintains a practice,Aesthetic Dental Designs in Laguna Niguel, CA. Dr Snyder is also an international lecturer and author on cosmetic, general dentistry and technology in addition to owning two software companies, being a professional race car driver and an entrepreneur. Snyder will be honored for this achievement at the 34th Annual AACD Scientific Session in Chicago on April 21, 2018. The AACD is the world’s largest non-profit member organization dedicated to advancing excellence in comprehensive oral care that combines art and science to optimally improve dental health, esthetics, and function. Comprised of more than 6,500 cosmetic dental professionals in 80 countries worldwide, the AACD fulfills its mission by offering superior educational opportunities, promoting and supporting a respected Accreditation credential, serving as a user-friendly and inviting forum for the creative exchange of knowledge and ideas, and providing accurate and useful information to the public and the profession.